Fisher-Price Shake 'N Beats Tambourine Just $8.73! Down From $27! You are here: Home / Great Deals / Amazon Deals / Fisher-Price Shake ‘N Beats Tambourine Just $8.73! Down From $27! Fisher-Price Shake ‘N Beats Tambourine Just $8.73! Down From $27! Score the Fisher-Price Shake ‘N Beats Tambourine at Amazon for just $8.73 down from $26.99 PLUS FREE shipping with Amazon Prime or for orders $25 or more! It’s a tambourine that’s just the right size for little hands to bat, grasp and tap. 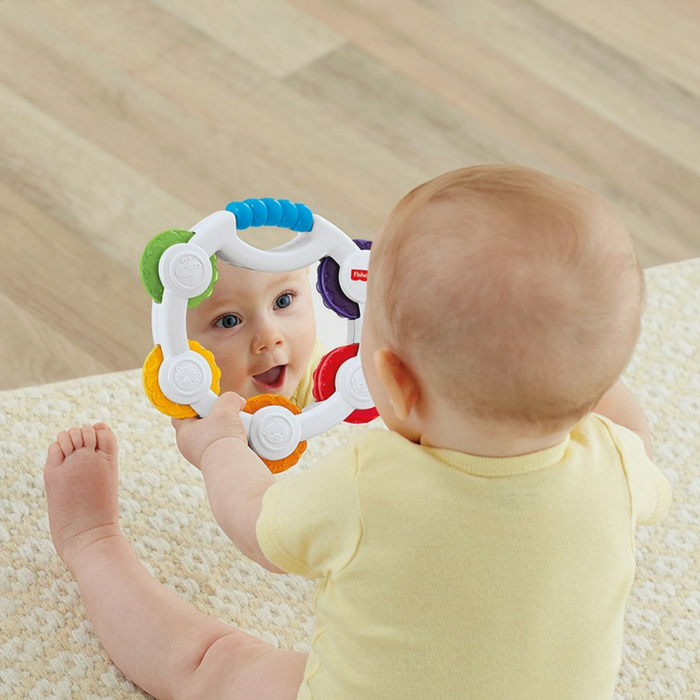 Bright colors, clacker sounds and a large, shiny mirror help to strengthen baby’s senses as she rocks out. Roly poly rocking action adds to the fun.